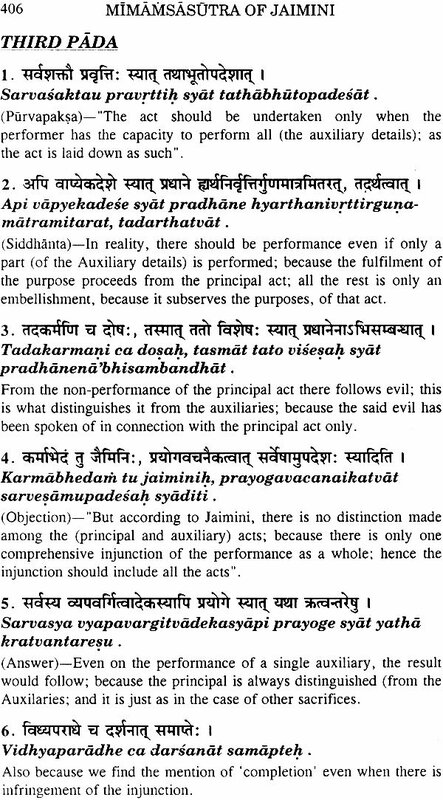 The word of philosophy in Sanskrit, viz. Darsanam denotes that it is science of 'Thinking - consideration' - 'Vicarasastram'. Its contents are not mere speculation in regard to the duties of man or the verities of life. 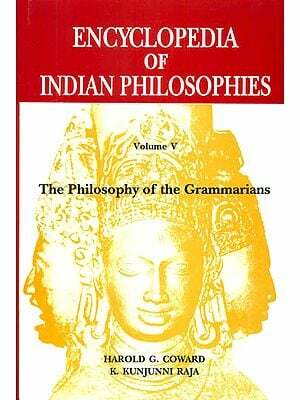 There are two prominent divisions in Indian philosophy. The first is concerned with the rational demonstration of the propositions of duty laid down in the Veda. Here is indicated the answer to the question of the type : What man should do or avoid in order to achieve happiness in some state of specific existence. This is the Dharma, or the Karma-mimamsa. The second discusses questions in regard to the truths of the fundamental nature of things, which man should realize by direct experience, so that he may e absolutely free. This is, therefore, known as Tattva-mimamsa, or Moksa-darsana. Apart from the three heterodox schools of Materialism, Jainism and Buddhism, there are only six metaphysical systems in Indian Philosophy: The Nyaya, the Vaisesika, the Samkhya, the Yoga, the Mimamsa, and the Vedanta. The present work is a compilation of the Sutras of six systems of Indian Philosophy. That is, the work compiles the Nyaya-sutras, the Vaisesika-sutras, the Samkhya-sutras, the Yoga-sutras, the Mimamsa-sutras and the Brahma-sutras, and their English transltion. It is now for the first time that the Sutras of six systems of Indian Philosophy with their English translation and transliteration altogether is brought to light. 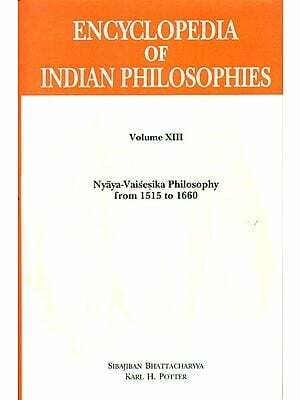 It is hoped that it will be received well by all the students and scholars interested in Indian Philosophy. M.M. Agrawal is Professor in Sanskrit at University of Delhi. He is an author of many books and has contributed several papers and articles in India and abroad. Some of his outstanding books are 'The Philosophy of Nimbarka' (awarded by Sanskrit Sahitya Parisad, Calcutta), 'Bhavaprakasana of Saradatanaya' (awarded Visesa Puraskara by Sanskrit Academy, Lucknow), 'Essence of Vaisnavism' (Sophia Indological Series No. 5), 'Aspect of Indian Philosophy', 'Srimadbhagavadgita' with the commentary Gudharthadipika of Madhusudana Sarasvati (in two Vols.) and 'Brahmasutra-nimbarka-bhasya' with three commentaries, viz. Vedanta-Kaustubha, Vedanta-Kaustubha-prabha, and Bhavadipika (in four Vols.). Philosophy is in general an interpretation of man and nature and its basis in the analysis assessment and exposition of the process of knowledge. 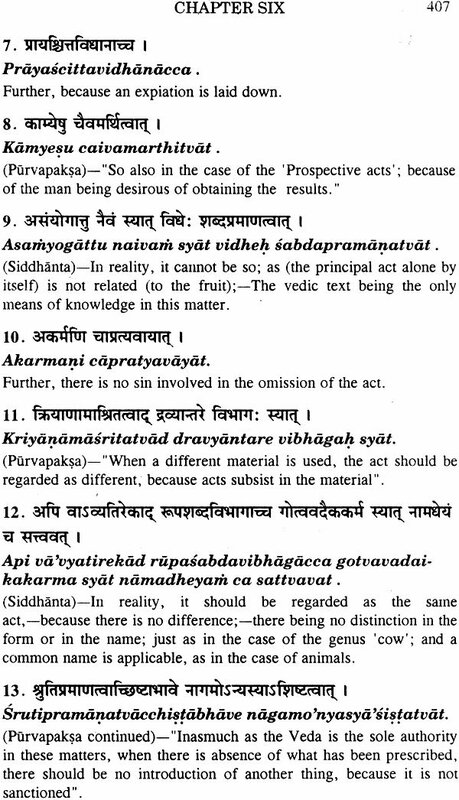 The Indian systems of philosophy however demonstrate by reasoning propositions in regard to what a man ought to do in order to gain true happiness or what he ought to realize by direct experience in order to free himself completely from the three kinds of pains adhyatmika physical and mental sufferings produced by natural and intra organic causes and thus be absolutely independent. In other words they either deal with Dharma the moral value of virtue or Moksa the spiritual value of freedom. The word for philosophy in Sanskrit viz, Darsanama denotes that it is the science of thinking consideration vicarasastram its contents are not mere speculation in regard to the duties of man or the verities of life. There are two prominent divisions in Indian philosophy. The first is concerned with the rational demonstration of the propositions of duty laid down in the Veda. Here is indicated the answer to the questions of the type what man should do or avoid or order to achieve happiness in some state of specific existence. Thus is the Dharma or the Karma mimamsa. The second disusses questions in regard to the truths of the fundamental nature of things which man should realize by direct experience so that he may be absolutely free. This is therefore known as Tattva mimamsa or Moksa darsana. Apart from the three heterodox schools of Materialism Jainism and Buddhism there are only six metaphysical systems in Indian philosophy. The Nyaya the Vaisesika the Samkhya the yoga the Mimamsa and the Vedanta. The Indian thinkers offer the fruits of their speculations with certain presuppositions a clear statement of which is necessary therefore for their right appraisal. But in this respect they may be linked to their counterparts in the west where it is held that man cannot know metaphysical truths by direct experience or (2) even granting that some day they may be known so far no man has known them and (3) therefore being pure speculations the various schools of Indian philosophy, like the contradictory and that if one is true all the rest must be false. Now the pre suppositions of the Indain thinkers are (1) Man can know metaphysical truths directly (2) there have been such men and there may still be Rsis or seers (3) the Rsis teach metaphysical truths after knowing them directly and (4) while all Rsis know the same truths just as all men of sight see same sun they teach these truths in different standards represented by the texts of the schools. It is important to remember these facts to arrive at a correct estimate of the value of the conclusions offered by the Indian schools of thought. That some scholars of the west too were aware of those characteristics of Indian thought is borne out by Max Muller’s remakes. The longer I have studied the various systems the more have I become impressed with the truth of the view taken by Vijnanabhiksu and others that there is behind the variety of the six systems a common found which may be called the national or popular philosophy a large Manasa lake of philosophical thought and language far away in the distant north and in the distant past from which each thinker was allowed to draw for his own purposes. Indian philosophy divides itself properly speaking into three points (1) the Vedic period (2) the Upanisadic periods and (3) the post Vedic period. The Vedic period means the period of the samhitas the Brahmanas and the Aranyakas especially of the Rgveda samhita. The Samhitas consists mostly of hymns in praise of nature gods such as Agni, Vayu etc. excepting in some of the hymns of the later parts of the Samhitas there is no philosophy proper in them. It is here that we first find intensely proper in them. It is here that we first find intensely interesting philosophical question of a cosmological character. In the Brahmanas and the Aranyakas character. In the Brahmanas and the Aranykas which followed the Vedic hymns there are two tendencies one that sought to establish the magical forms of ritualistic worship and the other which indulged in speculative thinking through crude generalizations. The latter tendency was indeed much weaker than the former and it might appear that the ritualistic tendency had actually swallowed up what little of philosophy the later parts of the samhitas were trying to express. The Upanisadic period is quite distinct in character from the first though it is but the natural result of it. If the thought during the first period was mainly cosmological with only a trace here and there of philosophy proper the second period was mainly philosophical. The Upanisads contain various sorts of philosophical thoughts mostly monistic but also some pluralistic and dualistic ones. The post Vedic period is s ystematic period which saw the development of the so called six orthodox systems viz the Nyaya the Vaisesika the Samkhya the Yoga the Mimamsa generally known as Purva Mimamsa or Karma Mimamsa and Vedanta known also as Uttara Mimamsa or Jnana Mimamsa. The germs of all these systems were already present in the Upanisads. In addition to those systems some theistic systems began to grow prominent from the ninth century A.D. they also probably had their early beginnings at the time of the Upanisads. This systematic period may be supposed to have begun with the collections of Sutras which are regarded as the foundations of the several systems. The intervening stage between the Vedas and the Upanisands on the one hand and the sutras on the other is represented by the Philosophicla protions in the Mahabharata as for instance the Bhagavadgita the Moksa dharma etc.